By Marilisa Jiménez García, Ph.D. The Children’s Literature Association (ChLA) meets for its annual conference every June. Founded in 1973, ChLA seeks to advance scholarship and criticism of children’s and young adult literature, particularly as a field of literary study. Academic associations, journals, and conferences provide scholars with an opportunity to organize and disseminate research. They also provide spaces for rethinking the purpose of a field more broadly with established and up and coming scholars. After years of attending ethnic studies and general literature and literacy conferences, I was invited to form part of a Latin American Children’s Literature panel chaired by Ann González at ChLA 2015 in Richmond, Virginia. I arrived at ChLA 2015 hoping to reconnect with a group of scholars and educators that inspired my intellectual pursuit of children’s and young adult literature. ChLA 2009 was the first conference I attended as a University of Florida graduate student in Charlotte, North Carolina. My colleagues and professors said I would find a supportive and friendly scholarly community, something I immediately confirmed. I was thrilled to find others who valued the artistic, creative, and historical value of children’s and young adult texts and media, something which might be hard to find in English departments. Yet, from the outset, I also noticed I was one of the only, if not the only, Latino/as at the conference. I was on a panel about language in children’s literature chaired by my dissertation director, Kenneth B. Kidd. By that point, I had found my dissertation research on Puerto Rican children’s literature and its representations of U.S. colonialism, nationalism, race, and gender. After I delivered my paper, “Language Borders and the Case of Puerto Rican Children’s Literature,” which was later published, several people in the audience waited to speak to me about my research. I felt a sense of validation. This was also one of the first times people referred to my research as “brave.” I still wrestle with seeing this as a compliment in terms of the work I do, whether I was brave for presenting Latino/a culture and Spanglish as belonging in a tradition of American writing or if my presence as an underrepresented minority seemed somehow exceptional. Even considering the underrepresentation of Latino/as in American children’s literature and the overall sparse numbers of Latino/a faculty, was I brave for presenting what I knew? Being the only Latina in an academic environment was not a new experience for me, but as someone who studied Victorian and American children’s literature, what was new was my realization of how often the depictions of Anglo-British and Anglo-American children and childhood are presented as central, and even universal. The terms “the child” and “children’s literature” seemed reserved for these portrayals. Progressing into my doctoral career, within the context of groups such as ChLA, I found that my work was often greeted with questions such as, “What does this have to do with children’s literature?” or “How is this about childhood?” In part, my dissertation in 2012, which won an award in Puerto Rican Studies, addressed the centrality of Anglo culture in children’s literature. I now realize that even in my position as a very junior scholar, I was perhaps one of the first to begin probing at the systemic diversity issue in kid lit, which today, though certainly not new predicament, has reached the forefront. Realistically, it was not until Robin Bernstein’s important study Racial Innocence (2013) that the field more holistically and publicly began to underline how representations of childhood and innocence are coded white. My movement into ethnic studies and organizations like the National Council for Teachers of English (NCTE) provided a space for me to develop the kinds of conversations I wanted to have about race, nationality, and the study of children’s literature in the academy, including its branches into education and library science. Truthfully, those of us who work in Latino/a children’s literature owe a great debt to education scholars, such as Sonia Nieto, whose foundational work on the subject in the 1970s and 1980s parallels with the work of Rudine Sims Bishop in African American children’s literature. Yet, I always kept my eye on ChLA, and was excited to hear that diversity and the lack of minority representation in children’s books would be the theme of ChLA 2014 (“Diverging Diversities: Plurality in Children’s and Young Adult Literature”). 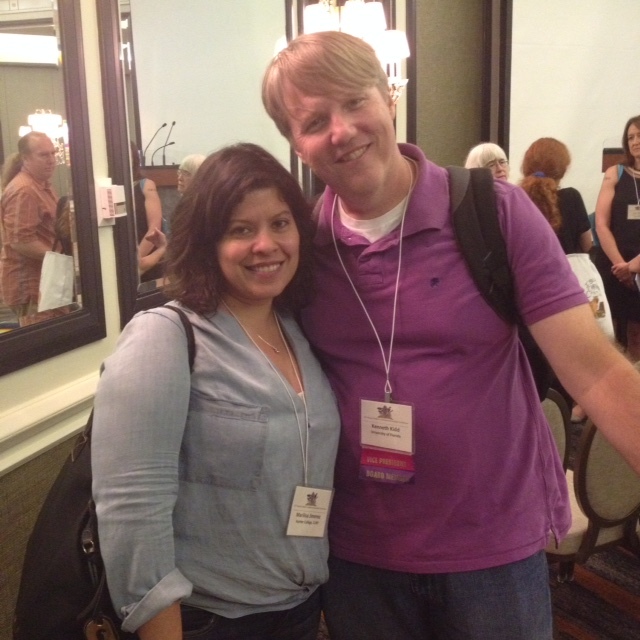 I could not attend ChLA 14, though my paper on Latino/a young adult (YA) literature was read by Kidd. Thursday morning at ChLA 2015 found me a bit anxious. Walking into the Omni Hotel Richmond on the first day of the conference, I was still attempting to process the tragic shooting at a Charleston church the night before. As someone who spent quite a bit of my life in the context of the South and the sway of the Confederate flag, the grim headlines seemed to frame everything I saw, even the 2015 conference theme: “Give Me Liberty, Or Give Me Death.” Once in the reception area, I met a Twitter friend, master’s student, Cristiana Rhodes of Texas A&M University, Corpus Christie, who approaches children’s literature through Chicano/a epistemologies. We discussed our work and perspective on being Latino/a in a field which sometimes struggles to see us as part of “English.” I was so encouraged to see a young Latina chairing a panel at ChLA and presenting her research on resisting stereotypical depictions of the Day of the Dead. Rhodes shared similar feelings to what mine had been as a graduate student. Later on, she said, “As a Latina, one of my primary goals in presenting at any academic conference is visibility–to let other academics know that we’re here and we’re doing good, valuable research. I think our place in ChLA, in particular, is to further solidify that diversity is an integral part of children’s literature, and without diverse perspectives the field would lose something. Rhodes’ comments continued to impress me as I had lunch with Casey Alane Wilson, Rebekah Fitzsimmons, and Mariko Turk, doctoral students from the University of Florida. Wilson and Fitzsimmons, who presented a paper on the construction of the YA genre, including how YA is used as a platform for diverse writers, helped me see that our field is at a moment of transition and restructuring, a moment in which those of us entering the academy are also questioning the history, structures, and key terms which formed and continue to guide our fields. This urge to question is something we were nurtured as scholars to do. My doctoral training under Kenneth Kidd in particular placed me in a position to think about how children’s literature developed as a field and how it is valued by the different branches, in part because of Kidd’s own against the grain perspective on kid lit. Kidd, a founding member of ChLA’s diversity committee, encouraged me to participate in the membership meeting and the coming year’s diversity committee. The panel I presented on in Latin American children’s literature was well-attended. My panel chair, Gonzalez wrote Resistance and Survival (2011), an important study on Latin American and Caribbean children’s literature, which I highly recommend to anyone interested in learning more about the roots of Latin American cultures and kid lit, including Latino/a. During my presentation on race and nationality in Puerto Rican textbooks, which were used in Puerto Rico and New York City schools during the 1950s, I understood why it was important for me to continue attending ChLA. The research and perspective I brought to ChLA meant that even if Latino/as and people of color in general were underrepresented, my presentation and any conversations it inspired, raised the visibility of these groups in the field. In particular, by retracing the history of Latino/as in children’s literature, I hope to present how people of color form part of the foundation of children’s literature, and not the margins. In terms of diversity, one of the conference highlights was a panel on Black Lives Matter featuring Katherine Capshaw Smith of the University of Connecticut, Michelle Martin of the University of South Carolina, and Myisha Priest of New York University, and chaired by Richard Flynn of Georgia Southern University, who drew a parallel to the Charleston shooting in his introduction. Together, these scholars underlined the importance of children’s literature and the tensions between innocence and criminality in terms of narrating the public deaths of black children, including Emmit Till, Robert “Yummy” Sandifer, and Kalief Browder. Another panel, “Illustrating African American history,” focused on how race and racism is depicted in children’s literature, and there was a panel titled “American Indians and Indianness,” which I was unable to attend. Rhodes, Sonia Rodríguez (who could not attend), and I were the only scholars focusing solely on Latino/a children’s literature. Lilian B.W. Feitosa read one paper on Brazilian children’s literature and Renee Lathman read on poverty and marginality in Puerto Rican children’s literature. Also, Rhonda Brock-Servais and Aslyn Kemp from Longwood University delivered a great presentation on gender in Meg Medina’s work. The panel I presented on encompassed my perspective of Latin American and Latino/a children’s literature. In the future, I hope to organize a panel on Latino/a kid lit and hope it will not be seen as a an international panel since Latino/a is indeed a U.S. formation. The international panels at ChLA provide a great opportunity for diverse perspectives on children’s literature, but some scholars, such as Wilson, note that scheduling the international panels concurrently limits the opportunities for exchanges. ChLA is an organization which has historically been committed to social justice. Overall, I think it would benefit from relationships with scholars doing ethnic studies and education research, an initiative listed in their Diversity Committee Plan 2009-2013. Collaboration with these fields would enable exchanges from the perspective of theories such as critical race theory (CRT) and Latino critical theory (LatCrit). I would also encourage children’s illustrators and authors to attend the conference to see how their work is impacting future frameworks and interpretations. ChLA is still a smaller and more manageable conference than meetings such as American Library Association (ALA), Modern Language Association (MLA), and/or National Council for Teachers of English (NCTE). It’s smaller, welcoming environment perhaps makes it more suitable for increasing the participation of scholars of color through mentoring events or spaces designed to nurture the needs of future faculty. Katherine Slater of Rowan University and chair of the Membership Committee said that ChLA plans to incorporate activities, including panels, speakers, and discussion groups that nurture diversity. After Saturday’s membership meeting, I spoke to Ebony Elizabeth Thomas of the University of Pennsylvania and Kidd about my intentions to return to ChLA and get more involved in the planning and leadership. I felt incredibly supported during my conversations with Kidd, Thomas, Martin, and Capshaw, and by the ChLA community. Given the social movements and narratives of race overlapping with the narratives of the academy, I also felt that change was impossible to avoid. While preparing this reflection, I spoke with other scholars of color about how entering these spaces where we are the only ones makes us feel overwhelmed at times. Because for us, “diversity” is a term used to describe our lives and very beings, and not a theme. Perhaps, that is why when we choose to come to these places, and in my case return, we seem brave. 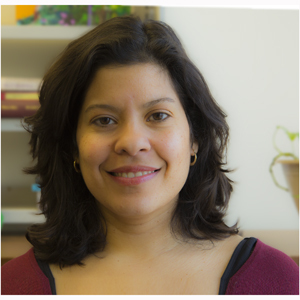 Marilisa Jiménez García is a research associate at the Center for Puerto Rican Studies, Hunter College, CUNY. She works at the intersections of Latino/a Studies and childhood and children’s literature studies. She is currently working on a book manuscript on the history of Latino/a children’s and young adult literature and an essay on the Latino/a “YA” tradition. She is conducting a survey of NYC teachers on teacher education and the use of diverse lit. in the classroom. We need people like you to help nulture the concept of diversity in children’s literature.